April | 2015 | I run. Quite a lot. It makes me happy. My parkrun ‘journey’ started back in 2009. I paid the odd visit to Hove Park, but those visits were very sporadic. I was much more interested in going to the pub until very late on Friday night and Saturday mornings were spent recovering with a sore head. Fast forward 4 years and my world is a different place. 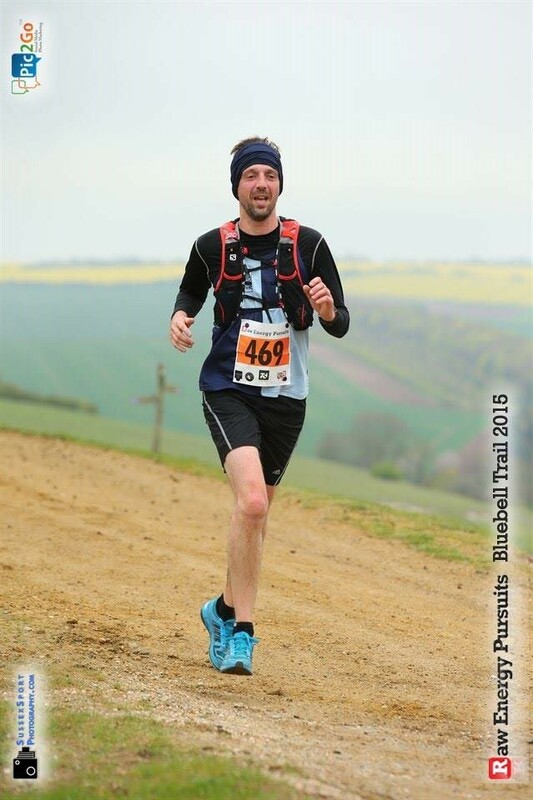 Beer doesn’t seem quite so attractive any more and running has begun to play a huge part in my life and the improvement in my health. 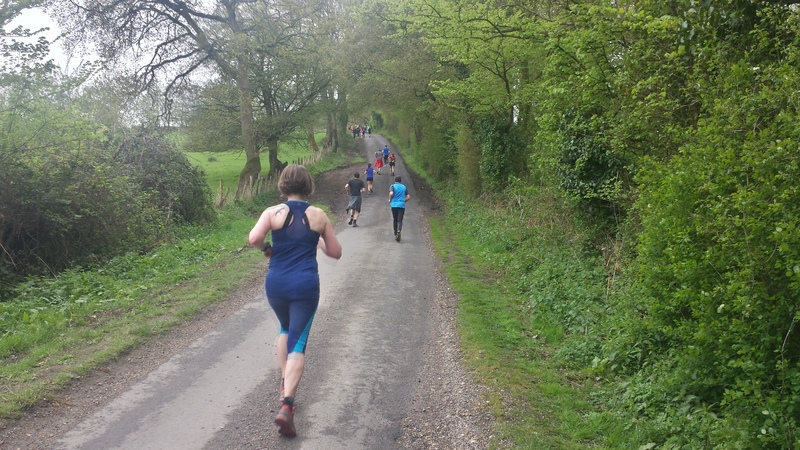 This is when parkrun ‘got serious’ for me. 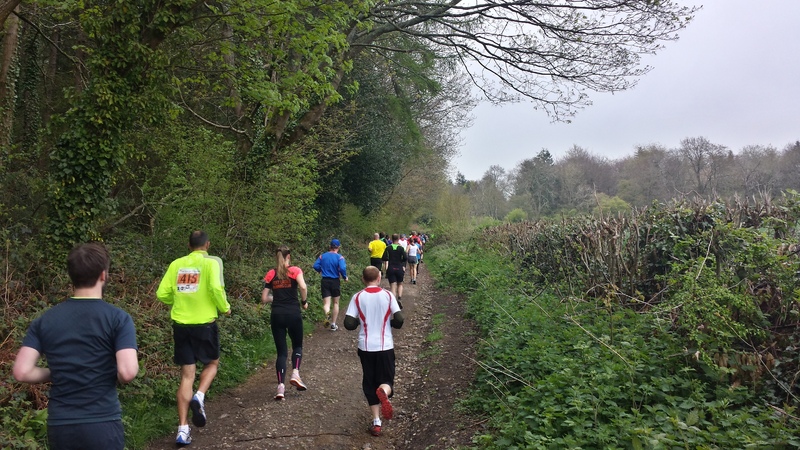 7 months in the planning, we launched Clair parkrun. It’s taken me nearly 2 years to go from single figures to reach 50 runs, as volunteering was top of the agenda, especially to start with. However, as we grew as an event, I ran more and more and my 50th was soon on the horizon. 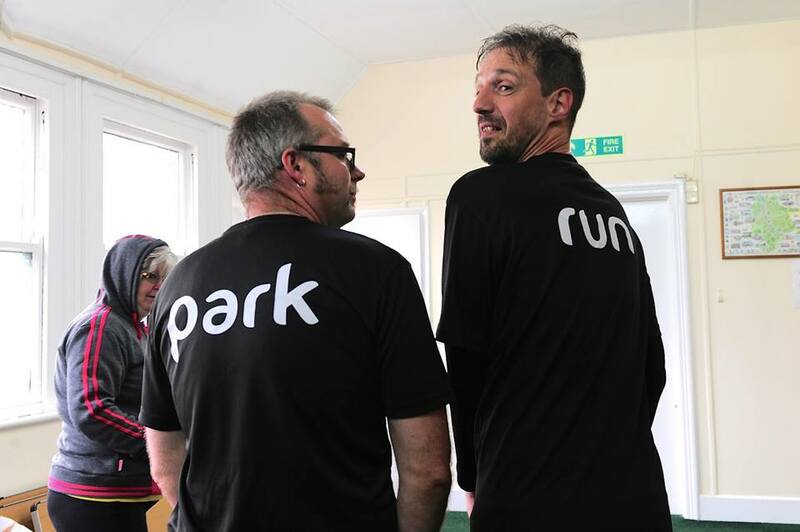 There are highs and lows of being a parkrun Event Director and I have certainly struggled with some of the lows. However, the highs are fantastic. One of the highest highs has been meeting so many fantastic people, something that I hadn’t really expected to be so high on the list. I was lucky to reach this milestone with Jay, who has been a total rock for us over the past 2 years, offering support and great friendship. It was great and very fitting to share our 50th run with each other. 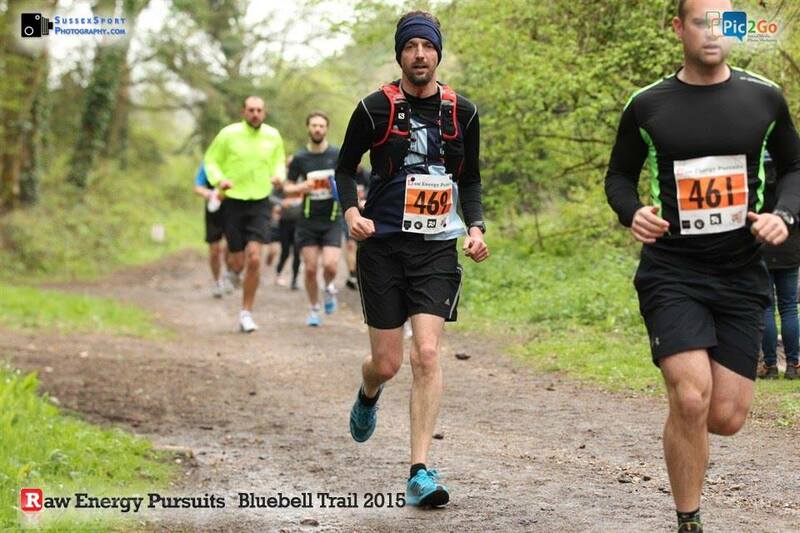 Sunday was Bluebell 10 day. 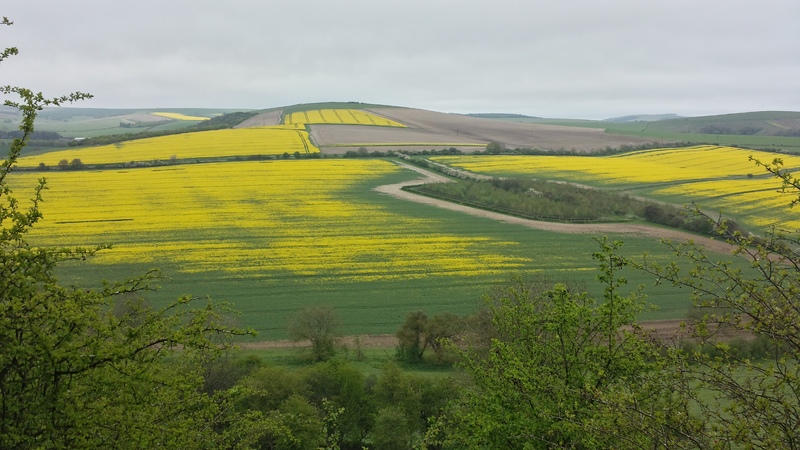 It comes in 10 mile and 10k versions near Angmering, West Sussex. This event had been on the radar for a while, but we either missed it or were doing another event. However, this was the year. It nearly wasn’t. I’ve got a sore achilles, which is really worrying me at the moment, but I needed to test it. In the lead up to the event everything seemed very organised. Race number arrived in the post along with very detailed instructions. On arrival on the day, the car park is well signed and marshalled. The registration area at the Fox pub is busy and well organised. The race starts on the road with a quick downhill section. After just under half a mile, you turn off and it’s off road or private lanes all the way until the end. This is a race of 2 halves. Mainly uphill for the first half and mainly downhill for the second. 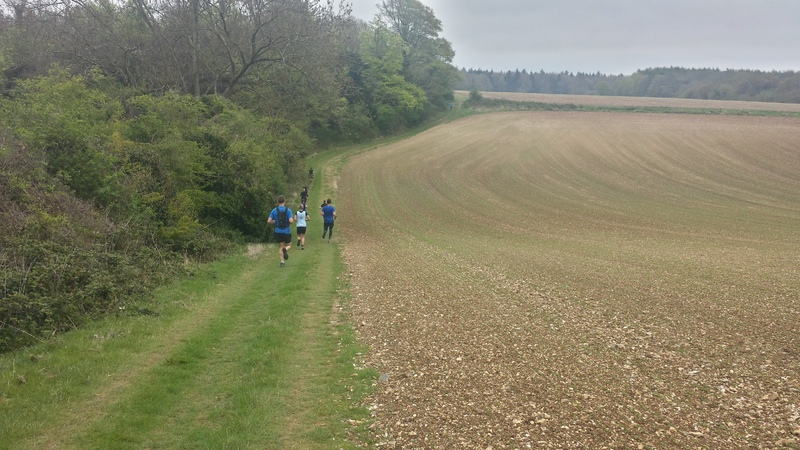 There is a killer hill at half way and another right at the very end. The countryside is lovely. 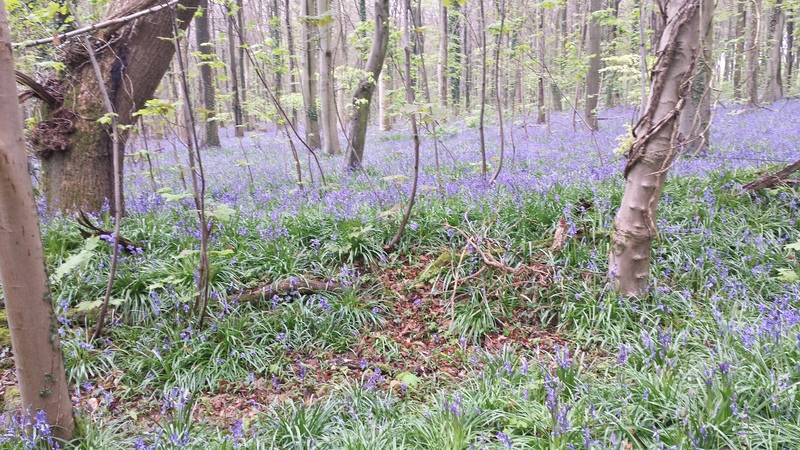 If you’re looking for a race with a view, including lots of bluebells, this is for you. This is a really good event. It’s tough. The hills get you. On a day when the weather is less pleasant, I’d imagine that it could be pretty harsh and exposed. If you’re looking for a medal though, you need to look elsewhere. 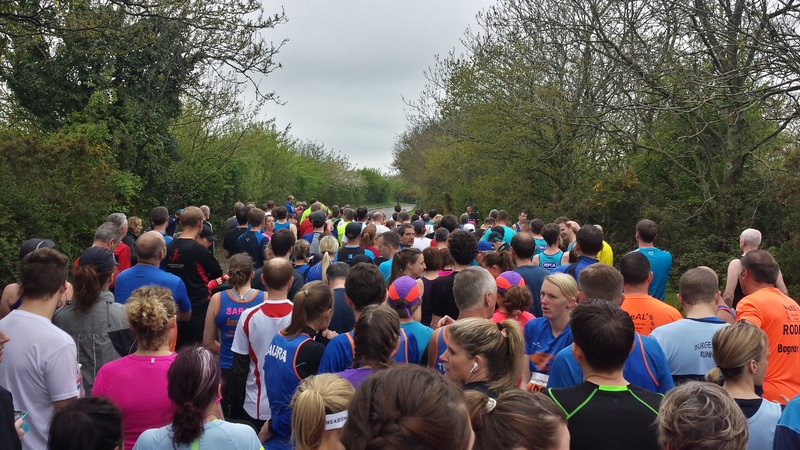 However, the lack of medal is reflected in the entry fee and to do get free professional photos, which were available within hours of the end of the race. To be fair, I’d rather have some nice photos rather than a cheap medal. 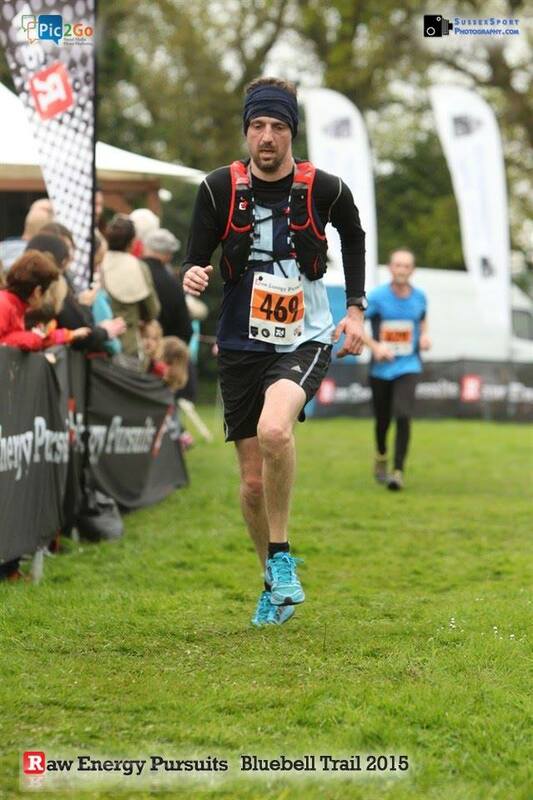 Would I do this race again? Oh yes. I’d recommend it to anyone. Would I change anything? Maybe add a bag drop at the start/finish. Definitely one for the calendar again for future years. Take care all and let’s hope that this achilles plays ball. 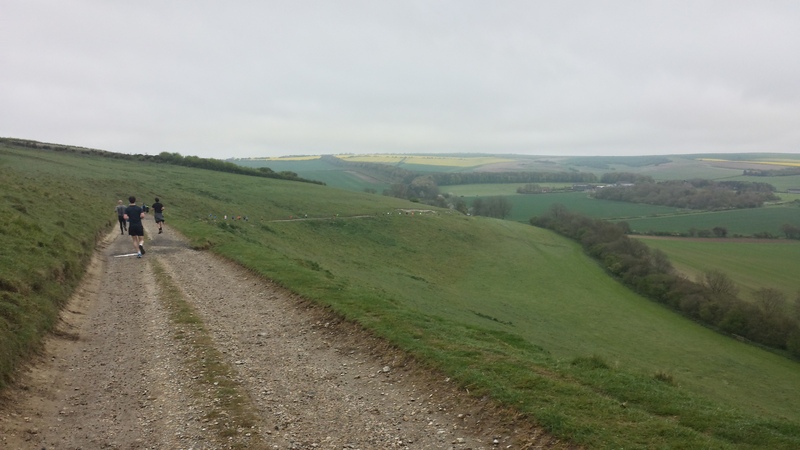 May brings 3 Forts (27 miles), the Green Belt Relay and the Weald Ultra. No time for my body to decide it’s not happy.